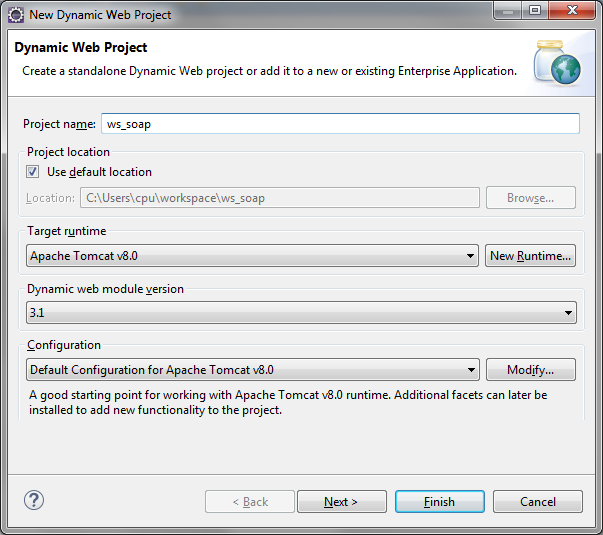 A simple example of Java SOAP web service with WSDL, using Eclipse, JAX-WS RI and Tomcat. 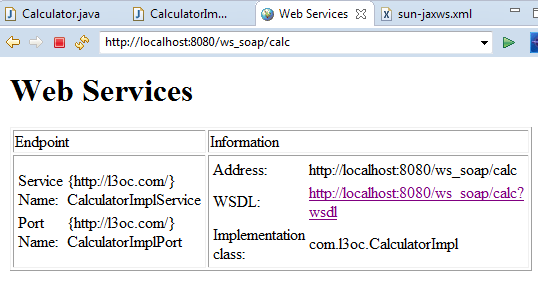 The web service is a calculator that provides the sum, subtraction, multiply and division methods. 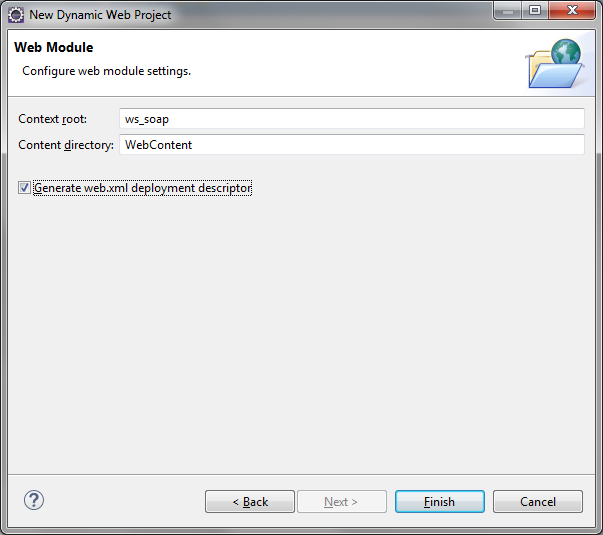 Now click in the WSDL link to see the web service details. That's all! 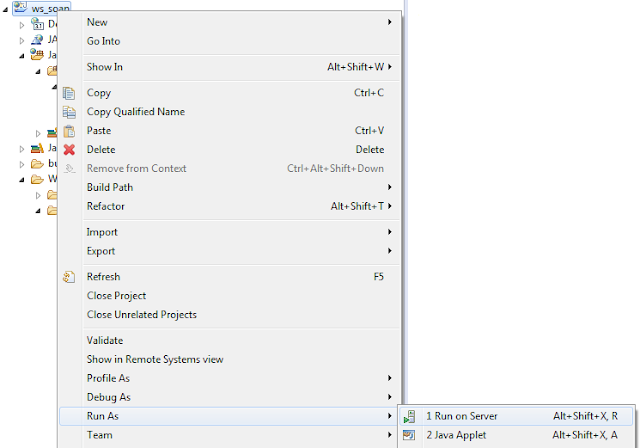 we can't test the methods without a client requesting them, so let's create the client !